The first annual Tuxes and Tees Ball raised $130,000 benefitting Imerman Angels’ mission to enable 1-on-1 support for cancer fighters, survivors and caregivers. We were overjoyed to welcome 350 guests to the first annual Tuxes and Tees Ball on Saturday, September 28 at the Roosevelt University Ballroom. Our inaugural event benefitted the mission to enable 1-on-1 support among cancer fighters, survivors and caregivers. 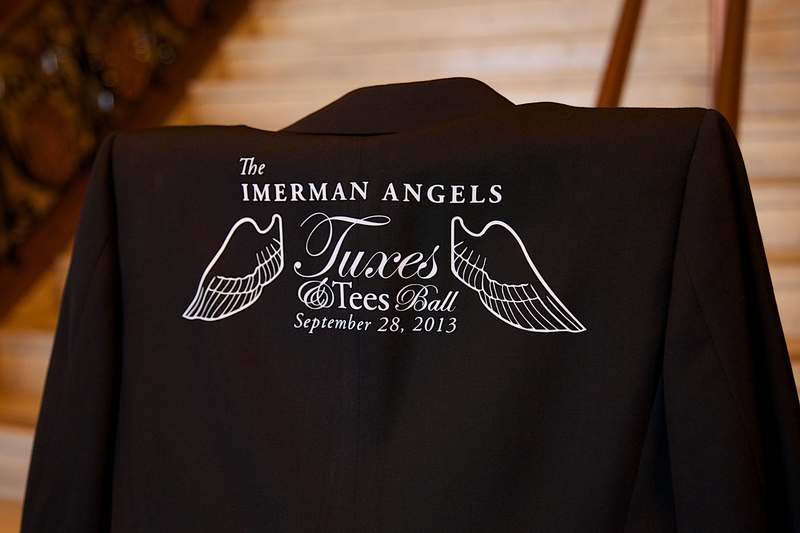 At this semi-formal event, men were invited to don their favorite Imerman Angels t-shirt under their tuxedo or suit jacket, while women dressed in cocktail attire. The evening consisted of cocktails, cuisine and dancing to the tunes of live band Dr. Bombay. 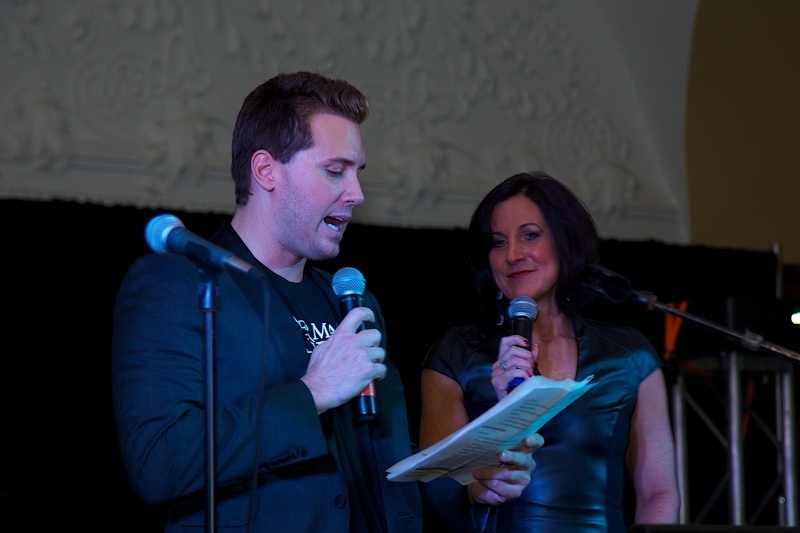 ABC 7 Windy City LIVE’s Ryan Chiaverini served as our evening’s emcee and special guest Dina Bair, WGN TV Midday News Anchor and Medical Reporter, led the riveting live auction. Pam Paziotopolous, a two-time cancer survivor, also took the podium to share her intimate story of her battle with cancer. A VIP seated dinner included a presentation by keynote speaker Nimesh Jhaveri, Walgreens Executive Director, Pharmacy Services, and a recent addition to the Imerman Angels Board of Directors. 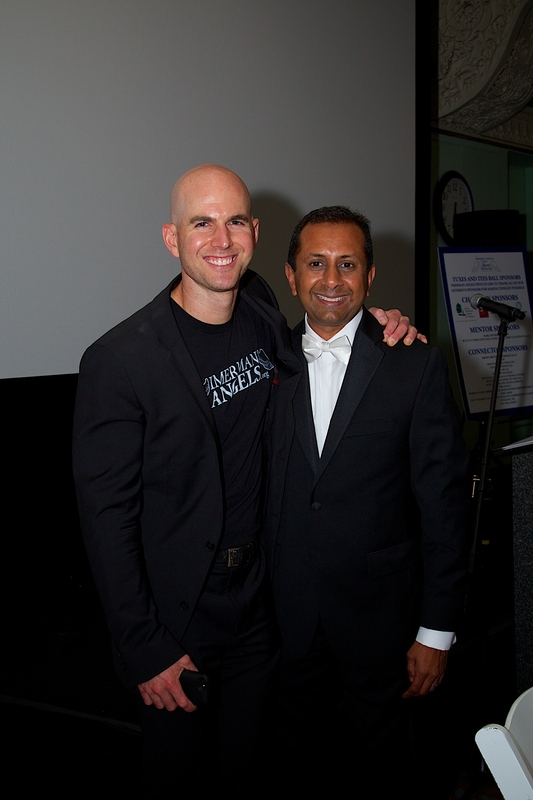 Michael Leyva, Tuxes and Tees Ball co-chair, accompanied by fellow co-chairs Donald Park and Raj Vora, as well as Imerman Angels’ co-founders, Jonny Imerman and John May also shared a few words. Champion Sponsors included the Cancer Treatment Centers of America, L&W Supply Corporation, Montessori Academy of Chicago and Sound Investment AV. Mitchell’s Ice Cream and Candies provides a full spread of sweet treats as the event’s exclusive dessert sponsor.